The Haas School of Business at the University of California, Berkeley, is a leading global producer of new ideas and knowledge. Teaching and research accomplishments include two Nobel Laureates in the past 18 years and a school mission to develop innovative business leaders. These leaders redefine business, putting new ideas into action in all areas of an organization, and doing so responsibly. 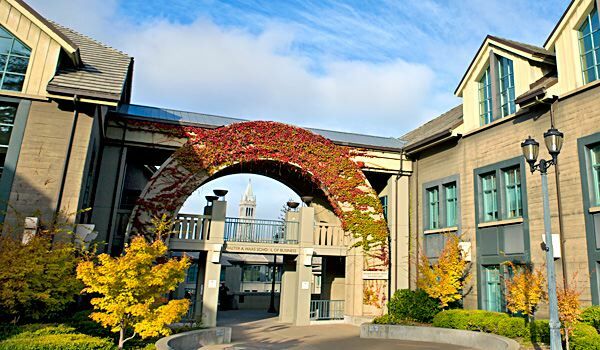 The second-oldest business school in the U.S., Berkeley-Haas offers management education to about 2,200 undergraduate and graduate students each year who come from around the world to study in six degree-granting programs. Applicants to Haas graduate programs must submit all the following materials to the admissions department: official copies of transcripts for all postsecondary academic work, an official GMAT score report, letters of recommendation, a personal statement, and a resume. Interviews are conducted on an invitation-only basis. In addition to the above ma...Applicants to Haas graduate programs must submit all the following materials to the admissions department: official copies of transcripts for all postsecondary academic work, an official GMAT score report, letters of recommendation, a personal statement, and a resume. Interviews are conducted on an invitation-only basis. In addition to the above materials, international applicants whose first language is not English must also submit official score reports for the TOEFL or IELTS. The school considers all of the following in determining admissions status: "demonstration of quantitative ability; quality of work experience, including depth and breadth of responsibilities; opportunities to demonstrate leadership, etc. ; strength of letters of recommendation; depth and breadth of extracurricular and community involvement; and strength of short answer and essays, including articulation of clear focus and goals." After graduation, Berkeley MBAs breathe easy knowing that their program’s high pro­file and sound reputation go a long way in providing job opportunities for them—not to mention that it also has “an alumni network that spans the globe.” As is often the case at such schools, the Haas Career Center provides a broad range of excellent services. Students here benefit from one-on-one advisement, access to numerous online job data­bases, industry clubs, workshops, seminars, and a mentoring program in which second-year students counsel first years in their search for internships. Employers most likely to hire Berkeley MBAs include Google, Amazon, Apple, Bain & Company, Deloitte Consulting LLP, Pacific Gas and Electric, McKinsey, Genentech. Institute for Business Innovation, which includes the Garwood Center for Business Innovation, the Lester Center for Entrepreneurship, and the Fisher Center for Management of Technology. Other centers include Clausen Center for International Business and Policy, Fisher for Real Estate and Urban Economics, Center for Responsible Business, Graduate Program in Health Services Management, Asia Business Center, Center for Nonprofit and Public Leadership, Center for Financial Reporting & Management. Want more info about University of California, Berkeley, Haas School of Business Executive MBA? Get free advice from education experts and Noodle community members.